Before founding Dinosaur Books Ltd, Sonya McGilchrist worked as a journalist for the BBC. 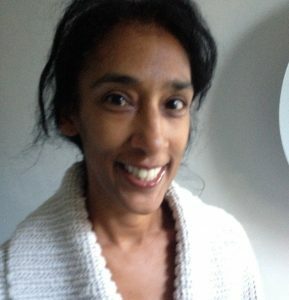 With two children and a degree in English Literature, Sonya’s current aim is to create thoughtful and imaginative books for young readers. We asked her a few questions about her journey into publishing and what she looks for in submissions. Tell us a bit about yourself and your journey into the publishing world. Prior to becoming a publisher I was a journalist and producer for BBC News and Current Affairs, working primarily in TV for BBC One and BBC Two, but I have also worked for Radio 4 and for BBC News Online. I’m also an English Literature graduate and a mum, and my love for children’s literature was rekindled when my children were younger – sharing a book and a story together is a wonderful part of family life. What inspired you to found Dinosaur Books? A love of stories and literature for children, and knowing how important reading and being read to is for a child – it can be a transformative experience. Good books can and do change children’s lives! Have you faced many challenges since starting the company? Yes, many! This is an industry full of lovely people but there is also an element that is resistant to trusting newcomers – but we’re gradually winning people over. What have you learnt from the process of establishing an independent publishing company? Everything takes longer than you expect it to! What do you search for in particular when looking through new submissions? We look for writers who understand the process of writing, because they have practised writing and taken the time to learn their craft. Good creative writing courses can teach new writers a lot. We also only work with authors who are willing to accept direction and editing of their work. Lastly, writers who understand that selling the final result is also a team effort. Do you have any books coming out soon that we should keep an eye out for? Yes, next year we will follow up the History Adventures series with Journey to Benin City, a book that links to the KS2 history curriculum, set in the medieval Benin empire. It’s a cracking read from a debut author, Dinah Orji. Find out more about Dinosaur Books via their website or twitter. 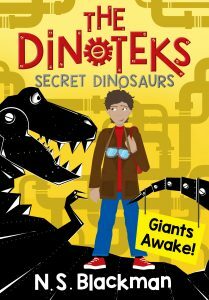 Dinosaur Books will be reprinting their Dinotek Adventure series from May 2019.